RFA Photo: A Blue Sox batsman ready to hit the ball out of the sports park. 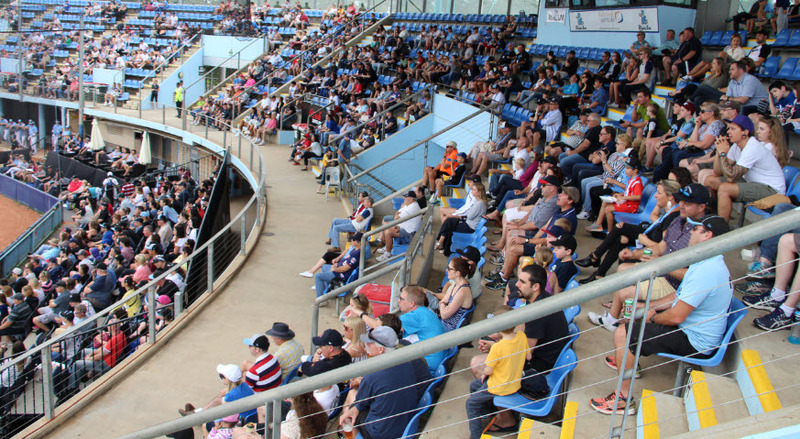 Congratulations to the Sydney Blue Sox and Melbourne Aces for putting on a great entertaining game at the Sydney Blue Sox Baseball Stadium on the 24th January 2016. 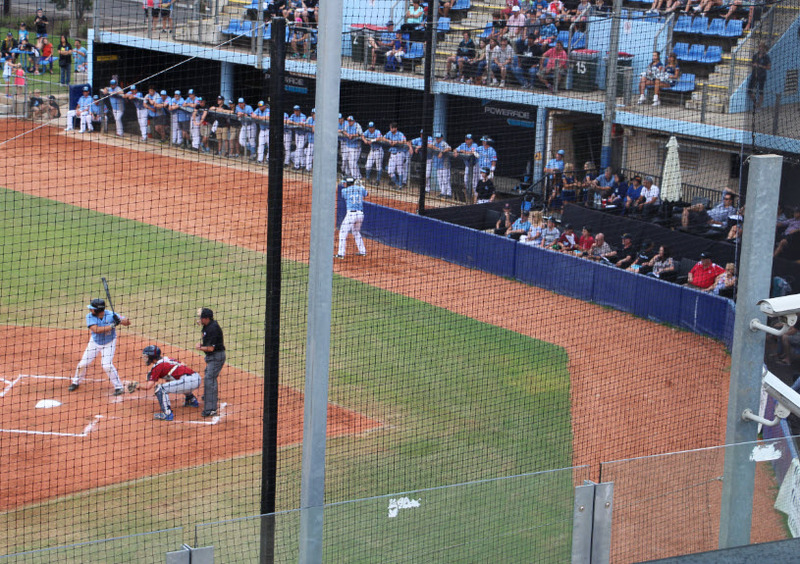 The Blue Sox won the game to the delight of the home crowd. Another great winner of the day was the Filipino-Australian community who fully got behind the event and provided great traditional food, cultural and educational stalls. The Philippine Consul General for New South Wales, Anne Jalando-on Louis gave a ceremonial pitch of the ball before the main event. Ang Kalatas News photo above: One of Australia's legendary and most highly respected sports coaches Bob Turner, Executive Chairman of Sydney Blue Sox, famous for his sport marketing and management skills is talking to VIP guest, the Philippine Consul General for New South Wales, Anne Jolando-on Louis with a TV crew filming their meeting. This game was broadcast around the world. [Photo by Marilie Bomediano member of Filpressyd and roving reporter for Ang Kalatas]. 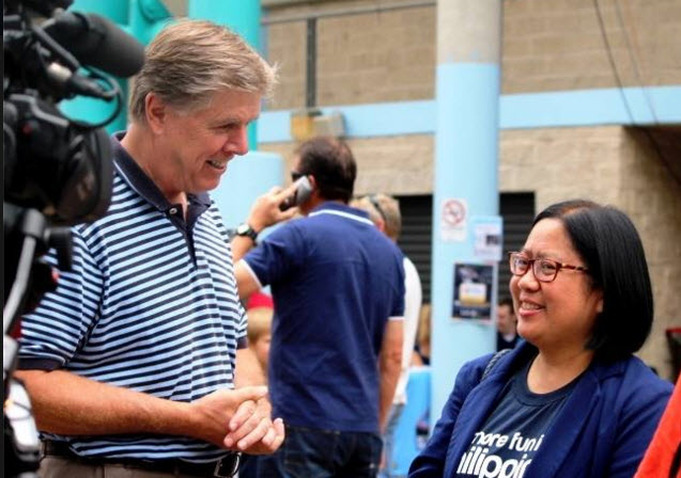 RFA Photo below: Josie Musa, New South Wales Woman of the Year 2015 and dynamic Filipino Events Coordinator for Australian Baseball League (ABL) games in Sydney, standing with Bob Turner, Executive Chairman of Sydney Blue Sox. RFA Photo below: The Blue Sox cheerleaders getting ready for the start of the game with the Philippine Consul General for New South Wales (NSW), Anne Jalando-on Louis wearing Sydney Blue Sox colours sitting in one of the VIP boxes with her right side facing towards the girls. RFA photo below: Part of the large and enthusiastic crowd who turned out for the game. ﻿RFA photo below: The Melbourne Aces catcher about to glove a fast ball (seen whizzing at speed past the leg of a Blue Sox batsman practicing near the fence line in the background) as the next Sydney Blue Sox batter is about to bat up. 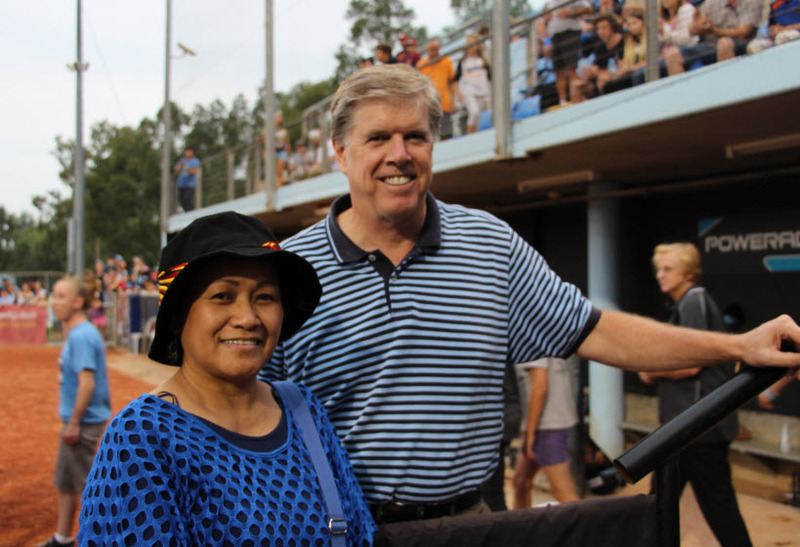 Bob Turner, Executive Chairman of Sydney Blue Sox, Philippine Consul General for New South Wales, Anne Jolando-on Louis and New South Wales Woman of the Year 2015, Josie Musa, can be seen sitting together in the VIP box next to the Blue Sox team dugout. 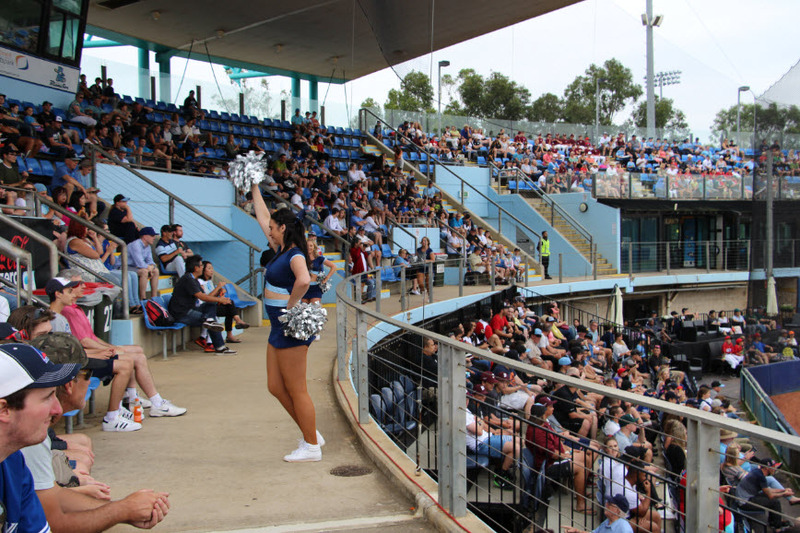 RFA photos above and below: It seems that the dynamic Blue Sox Cheerleaders, on the ground and in the grandstands, were just as hot in action as their Blue Sox team on the day. 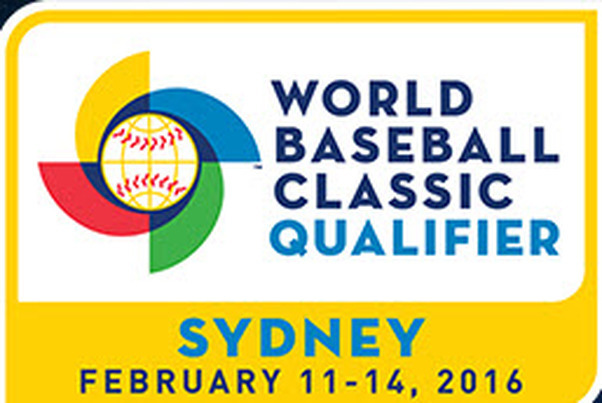 ​The World Baseball Classic coming to Sydney next month in February 2016 with the participation of the Philippine national baseball team.